DOG SWEATER KNITTED. 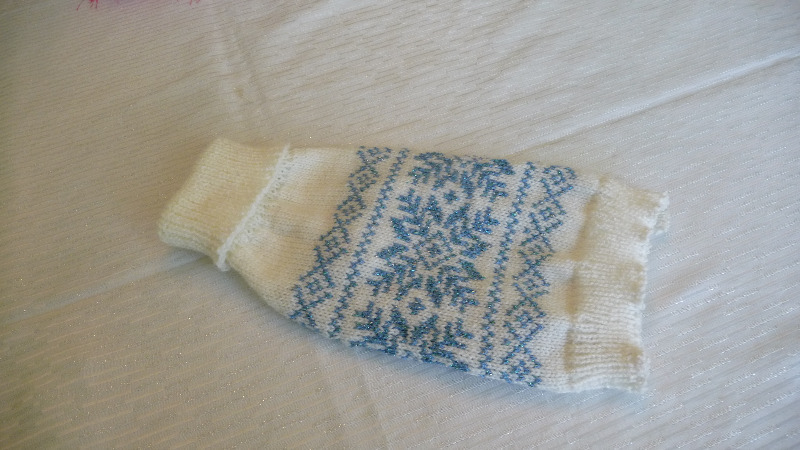 White and blue acrylic winter motif knitted, 100% acrylic high collar and cuffs around the front legs. Slip on type. Come in three size .xtra small, small 10 to 20 lbs, medium 20 to 30 lbs. Those sweaters are made to order and take about 1 week turn around. Call me at 240-421-2454 to order. Price: Xtra small $15.00, small $25.00, medium 35.00.